We provided and installed custom ADA signs for Our Lady of Guadalupe Parish School in Oxnard, California. You can see one of the room identification signs in the photo with an international symbol of accessibility (ISA) sign. 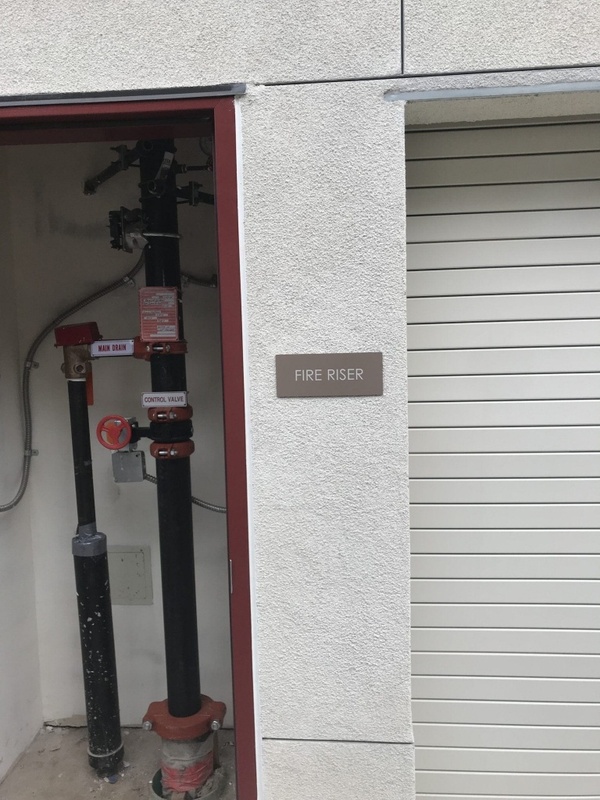 Along with room identification signs and ISA signs, there were also a few bathroom signs, exit signs, a fire riser sign, and an electrical room sign. Americans with Disabilities Act (ADA) signs are required in many public facilities like schools. Many of the signs like room identification signs require Braille and raised text for those with vision impairment. You can find pre-made generic braille signs online, but the reason you would want a custom sign company to handle your ADA signs is so you can customize what the signs will look like and have room names that are unique to your business. Many offices will get custom ADA signs when they need a specific person’s name on the sign to identify their office. Just send us a design with all of the information you need on the signs and we can make you high-quality ADA signs that match your interior décor. If this is for a new building or if you’re remodeling, your architect or designer will usually provide a design that we will base the quote off of. We have handled many ADA projects in the past so we can be your professional consultants regarding what type of ADA signs you need and where they need to go. Where the signs go and how they are installed are just as important as what goes on the sign when it comes to being ADA compliant. Give us a call today or request a quote using our contact form to set up a meeting with one of our consultants.